1 out of 10 times you may get lucky. But for the rest it will be stress and panic added unnecessarily in your plans. Also the parking compounds are at some distance from the terminals and it’s not really convenient dragging all your luggage over that distance. Then there are security concerns. The measures taken are marginally acceptable and it’s bothersome not knowing that your car may not be safe. So, to ease this pain and make it an easy experience it is necessary that you draw a plan as a solution to all of this and have your parking administered against all risks. Make advance online reservation and have your car parked by professional. Meet and Greet UK airport parking deals enable you to have a spot dedicated to you with exceptional services of a chauffeur. Simply drive straight to the terminal. Meet with your appointed chauffeur as per the instructions and directions provided in the confirmation email. Upon returns call and inform of your arrival and your car will waiting of your at exit ready to take your where ever you need to go. Meanwhile rest assured that your car is parked in perfectly secure vicinity and monitored at all hours of day and night. This easy access to secure services makes travelling even more wonderful. Making your reservation via Mobit also grants you the amenity of having compare car parking UK prices and enjoy a budget friendly vacation. 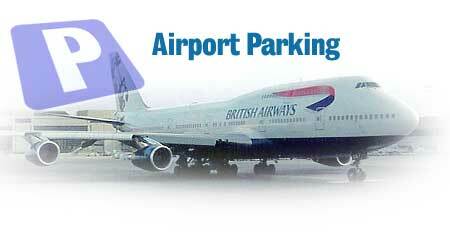 Previous PostHow to Skip the Turmoil of Airport Car Parking UK?Next PostThis Autumn Get 18% Flat Discount on Airport Car Parking UK Deals, 24 Sep 2016.